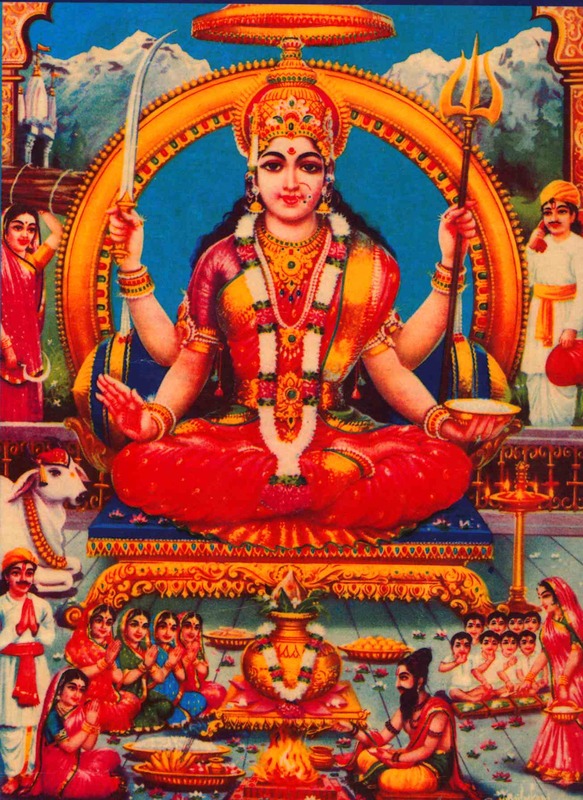 Santoshi Mata or Santoshi Maa is a relatively new goddess in the Hindu pantheon. She is venerated as "the Mother of Satisfaction", the meaning of her name. Santoshi Mata is particularly worshipped by women of North India and Nepal. A vrata (ritual fast) called the Santoshi Maa vrata performed by women on 16 consecutive Fridays is believed to win the goddess' favour.